Home Travel Hidden Gems of London Series: Brentford – The Battlefield of London. There are a lot of articles out there for would-be adventurers who wish to visit one of the most thriving, diverse and colourful capitals in the world: London. This city has a wealth of attractions to explore, from Buckingham Palace to the Tower of London, from Madame Tussaud’s to the sinister alleys of White chapel, where the mystery of Jack the Ripper famously remains unsolved. There is no doubt that England’s capital is endless in its possibilities of exploration and as the esteemed English writer, Samuel Johnson, once said: When a man is tired of London, he is tired of life. One thing you can be sure of, you will never be bored in this city. But what about when you’ve exhausted all the main attractions that the tourist pamphlets, YouTube videos and TV shows have urged you to see? There’s only so many times you can visit the London Eye or London Dungeons; what’s more, some travellers, particularly those who are staying longer than a few weeks, may wish to delve deeper into the city and explore the hidden gems it has to offer, the ones that don’t appear at the tourist information desk; areas where the history and attractions will both wow and shock you, so much so that you will be enthralled at this hidden side to London – not to mention the low cost of these particularly fascinating areas of the capital! This was not the only significant battle to take place in Brentford and this is what makes this otherwise unknown town of very special calibre. In 1016, King Canute was defeated by King Edmund Ironside at the first Battle of Brentford; four hundred years later, the second Battle of Brentford took place in 1642 between the Roundheads and Cavaliers during the English Civil War – this was a Cavalier victory. A monument outside the Brentford County Court commemorates all of these battles, as well as the formation of the council of Brentford in the year 781 by King Offa of Mercia. Those with an interest in military history will be deeply interested to learn more of the exciting – and devastating – effects these battles had on the town. Brentford was not just a place of battle and bloodshed. Some of the most notable figures in history either settled, studied or worked here. The artist, J.M.W Turner, was sent to live there as a boy and lived in what is now known as a pub called The Weir, where it is said he first discovered his love of watercolour. The Native American princess, Pocahontas, lived in Brentford for a year after voyaging to England in the 1600’s; sixth President of the United States, John Quincy Adams, lived in Brentford between the years of 1815 – 1817; the English poet, Percy Shelley, attended boarding school at Syon House. The haunting footsteps of these bright and colourful lives which left their mark in history can be traced across the entire town, either while strolling along the river filled with its boats and herons or else tracing along the battlefields where it is said ghosts of warriors and soldiers still roam. 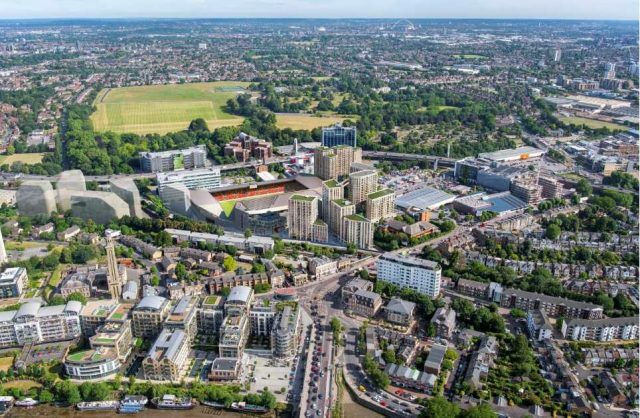 Brentford may not seem the most endearing or flashy of towns upon first glance, certainly not compared to its glitzy counterparts in Central London. But for those who wish to explore the soul of London in even greater depth, this little gem will provide an unforgettable experience and adventurers can look forward to its spirit, from past to present, truly come to life. Offer my dream; that everyone know that ways for this Lord.